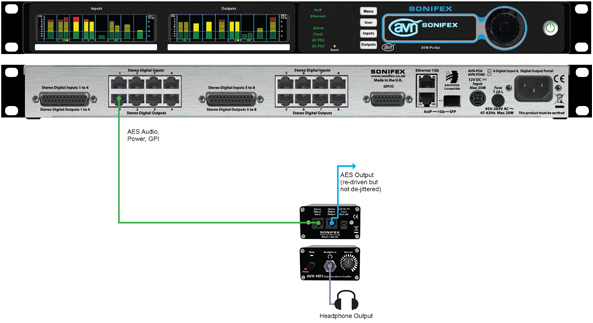 The AVN-PD8/D Portal can be combined with multiple AVN-HD1 headphone amplifiers to provide a headphone distribution system – the portal output connections can supply analogue power to satellite headphone amplifiers and the unit can be mounted using the CM-MNT1 desk mount panel. The AVN-PD8/D can be combined with multiple Sonifex AVN-HD1 headphone amplifiers to provide 8 separate headphone signals where each headphone amplifier can be sent a separate feed, mixed from any physical or stream inputs. Front panel 6.35mm (1/4”) headphone socket and volume control knob. Front panel Mute/GPO push button. AES3 digital input on RJ45 (the connector provides power to the unit and a GPO back to the portal). AES3 digital output on RJ45 (power and GPO signal are not connected). Locking DC power connector if a portal is not being used to supply the unit with power. 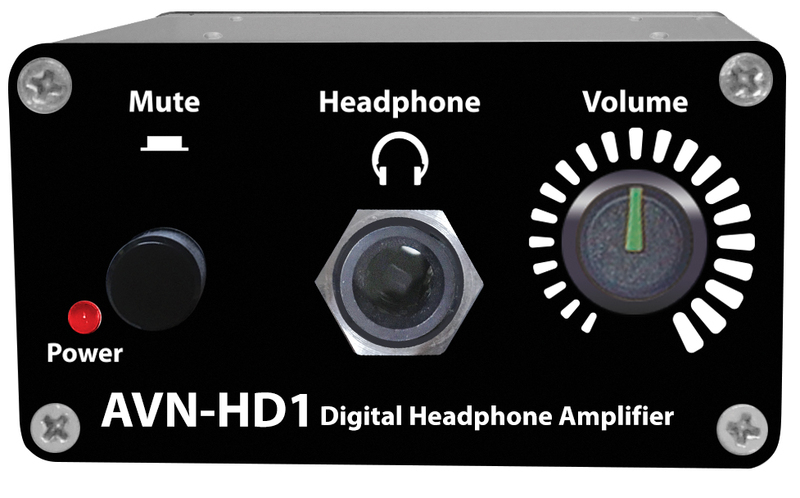 Note: The AVN-HD1 is an AES3 digital input product taking an AES3 audio feed from the AVN portals. 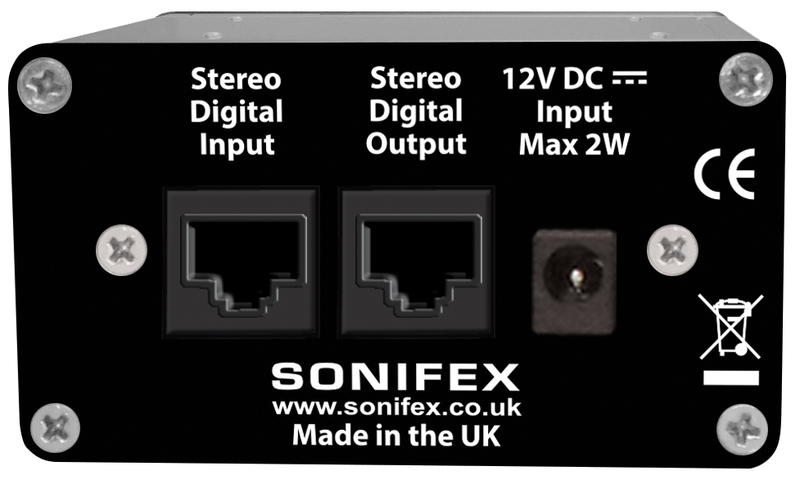 It can be used independently of the portals by using the separate DC input for power and a separate AES3 audio input. 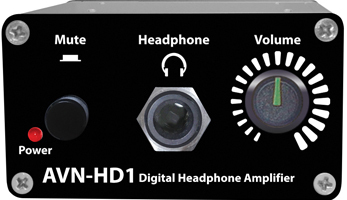 Product Function: Simple AES3 digital headphone amplifier connected to the output of the AVN-PD8/D portals, with volume control and button tally. Up to 8 can be connected to each AVN portal. 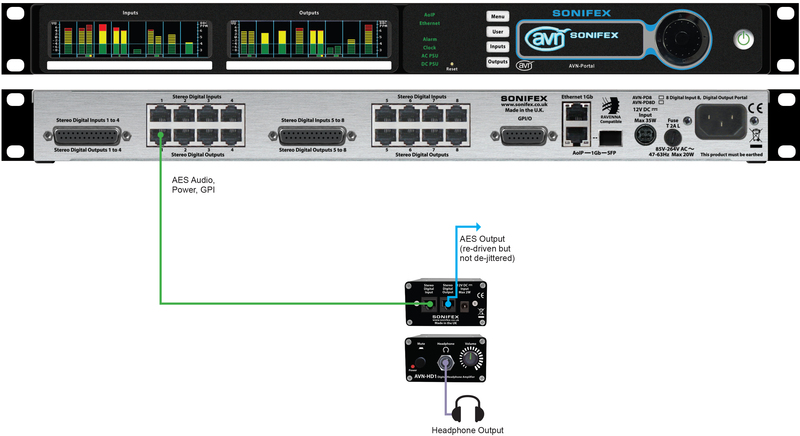 Typical Applications: Headphone amplifiers in a radio studio, a talks studio of a radio station/TV station, a voice-over booth or news booth. Front panel 6.35mm (1/4”) headphone socket and volume control knob, with mute/GPO push button. AES3 digital input on RJ45 (the connector provides power to the unit and a GPO back to portal). AES digital output on RJ45 (power and GPO signal are not connected).